this vicinity has many ski areas. The 13 ski lifts here are in great condition. 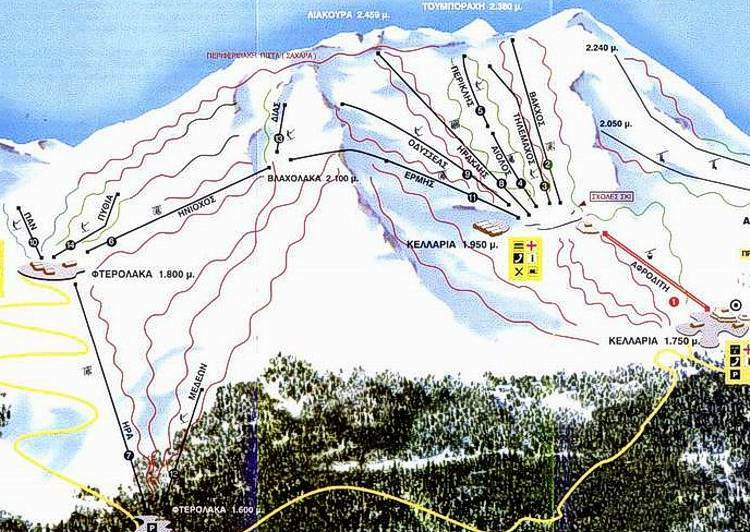 Mount Parnassos is a small-size ski hill boasting an average drop when you compare it to other ski areas in the region. The highlands of Greece in the winter are always good for skiing or snowboarding. The beautiful view of the Greece mountaintops and the kick of speeding down a slope are good attractions for a lot of skiers. The trailmap of Mount Parnassos on this page of course says a thousand words. This is an exciting ski hill with a load of challenging trails.